Hi all... I hope guys you will like this. Big grey fog on the right is DM hidden table. 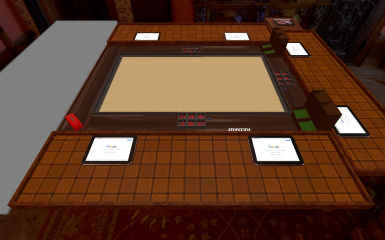 To be the GM do this: Click Menu -> Change Color -> then black on the middle of table (Game Master). Now you will see hidden table and all content on that table. You can only see. 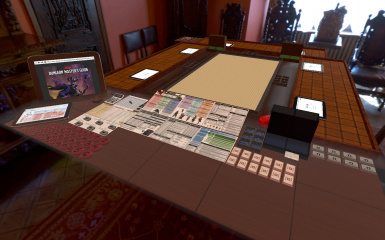 This is full Dungeons and Dragons 5e Game Session Setup. It is easy to use. Easy for players and for Dungeon Masters. It contain a lot of DM Sheets. Made character sheet for tablet. 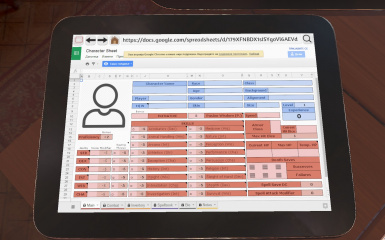 Now it will be much easier to track and edit all character information. For more information DM please read Notepad in the game. Spell Cards (in DM table) are now using new function of TTS. They are all named and sorted so DM can now easily find a spell. Placed several Dice Tower for people who likes to use it. Placed different trays to make bigger table. Placed new blank Map and make smaller grid. Added several tolls for DM and added Contents page for all 3 DnD 5th edition core books. 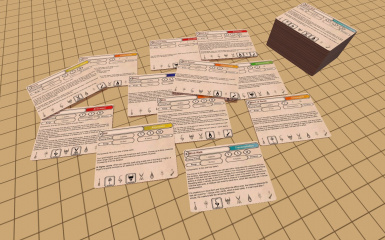 Added tokens for (ranged numbers from 1-20) representing monsters or npc or even player characters. Change the colours of tokens if you want to easy see who is who. 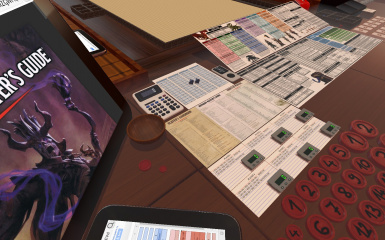 Added percentage die for players and DM. They are different colour to recognise them easily. Big thanks to Wizards of the Coast.